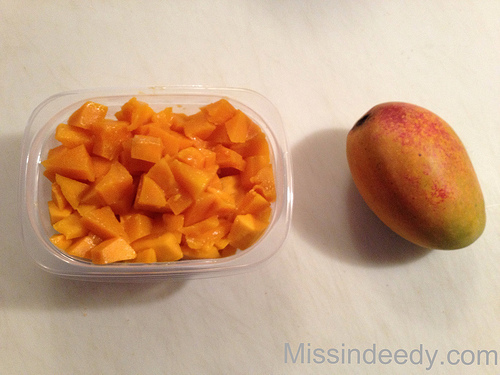 We had delicious mangoes almost every single morning or afternoon. 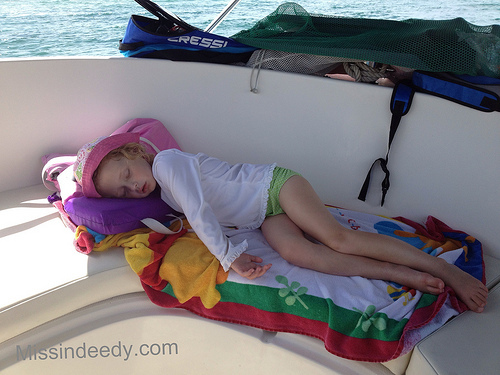 2) That Sweetgirl – she does NOT nap. I mean… ever! The motion of the ocean finally got to her, though. Praise The Lord! And Amen. Naps don’t get better than this. Right? 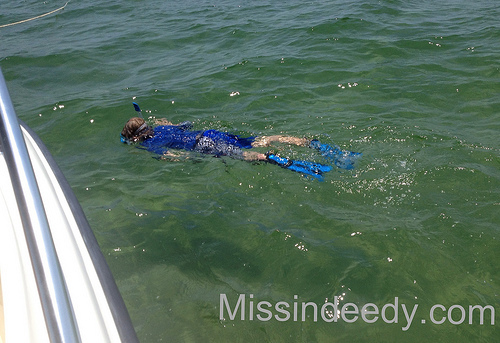 The child – he surely does love his snorkel and mask. 4) I realized two things after I planned and executed the following picture. 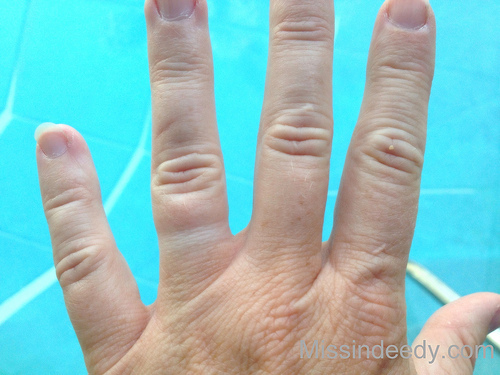 It’s been a great vacation when you’ve got a ring tan! The first is that it makes me all kinds of happy to see a ring tan on my finger there. (Hopefully, that’s obvious by my… you know, ‘planning and executing’ a picture of my tan-lined ring finger. And now that I’ve written that down, I do believe I might just need an intervention.) And the second thing is that Sweet Moses! I have some unsightly man-looking hands. I can’t win em’ all. Indeed. I sure hope y’all are enjoying your summer so far! Whatcha doin’? This entry was posted in Family Indeed, Vacations and tagged grandparents, mango, naps, ocean, siblings, snorkeling, tanlines. Bookmark the permalink. Glad y’all had a great time and are back safe and sound. Pruny fingers and all. And if it helps…I have hairy knuckles. Ew. I can’t believe I just typed that out loud. Thank you. You crack me up girl. We should all band together and form a club! We are kin, we have to be. I totally have Man Hands and am absolutely embarrassed by it! You’ve got to tell Elena about the mangoes!! She would be in heaven. So glad you had such a nice vacation! We have to arrange a multi-family visit sometime. She would love it!